Not many manufactures can make a tourer/estate car look attractive and appealing. Hyundai however have managed this. As usual my gaze is fixed on the car as I approach it, a number of queries run through my head. What will the interior be like? What will the clutch be like and will I stall it? Will it be comfortable? Most importantly will it fit on my driveway? Thankfully I found all the answers to be positive. The cabin looks “busy” at first glance but once you figure out where everything is and what all the buttons do, it actually makes sense. The controls you are likely to use the most are closest to you and easy to operate without having to take your eyes off the road. Alternatively you can use the voice command to guide your way through. 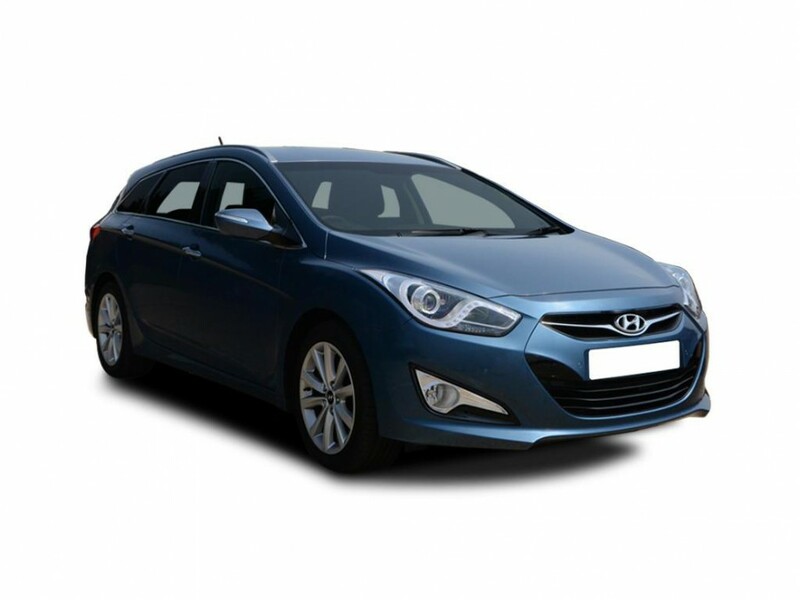 The Hyundai has the increasingly popular electronic parking breaking with an auto hold feature, allowing the driver to pull up to a set of lights or back of the traffic queue and simply come to a complete standstill, take their foot off the brake and car will remain stationary. Once ready to move on, simply put the car in gear and drive off. A very simple and easy to use feature. Once I finally navigated my way through the rush hour traffic and was able to put the cars performance to the test I was left feeling a little flat. The power delivery is not as instant as in some cars, and takes a while to get going, that said, once up and cruising in sixth gear there is a nice level of torque should you need it. The equipment level is thorough; the Style comes with Sat nav, front and rear parking sensors with camera (more on that to come), electric driver’s seat and the distinctive LED running lights. The Tourer is a big car, and the parking sensors are pretty good, when I realised it had a camera I was much happier, until I came to actually need it. Due to the position of the camera and current conditions of the road, any water, mud, salt, grit etc the car might kick up, gets splattered all over the lens. Thus, making it near impossible to see anything. That said I found it considerably easier to park and manoeuvre than its saloon version as the visibility is not as restricted in the tourer and the blind spots are limited in their number. After driving the car for a week including a weekend stint fully loaded with the family, including baby seat, pram and big supermarket shop, I am left feeling pleasantly surprised by the Hyundai. I was expecting a cheap and cheerful “standard” car to drive, however it coped well with every day life and is more than capable of taking the stress and strain of being a family vehicle. This car is certainly a thorn in the side of the more established estate car brand!